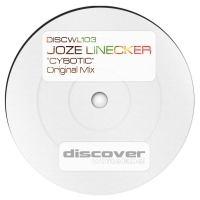 Joze Linecker joins us on Discover White Label to help round out the year in style - with a brand new original called 'Cybotic'. What I like most about 'Cybotic' is the robotic cut-up voice samples and that rhythmic beat. There is something special about the rhythm here, do not miss this. 'Cybotic' is available now from Beatport and iTunes.